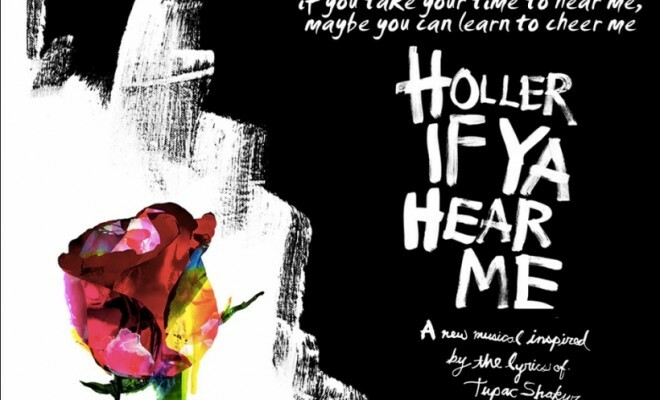 Months ago when the Tupac-inspired musical, “Holla If You Hear Me” was announced, fans everywhere rejoiced and it seemed like a great idea. Unfortunately, lukewarm ticket sales and less than enthusiastic reviews have the fate of the musical up in the air. The musical has been out for less than two weeks, and has made just under $200,000 making it the lowest selling show on Broadway. Rumor is that the show will shut down on Sunday, and although that has yet to be confirmed, based on the performance it is likely. Best of luck to the production. Read more about the problem with the musical inspired by Tupac here. UPDATE: The Broadway production will close it’s curtains on July 20 due to dismal ticket sales and a general lack of interest from the public.